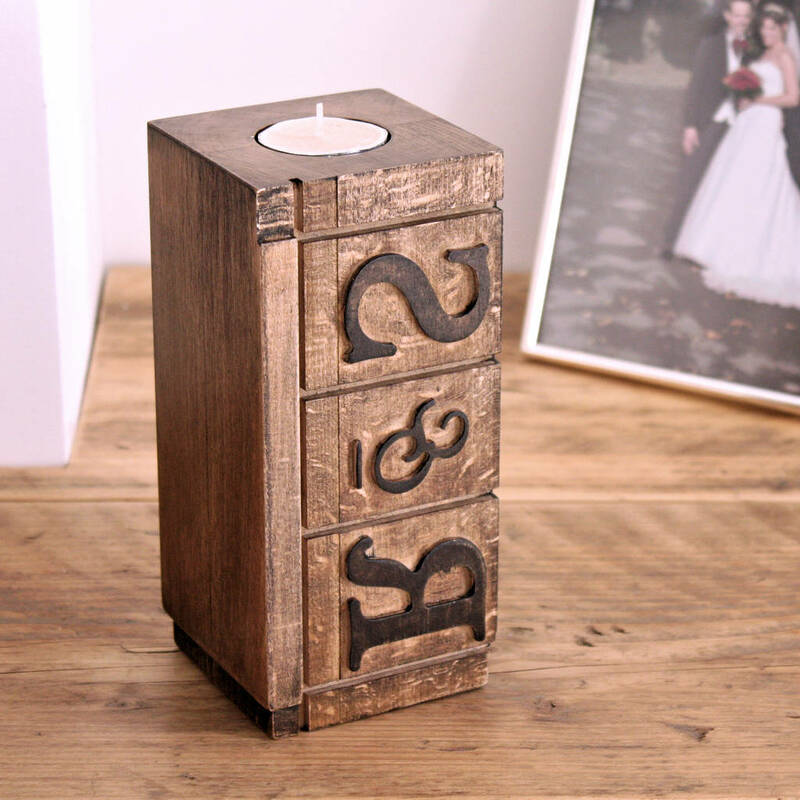 Choose your own letters for this reproduction antique letterpress printing block tealight holder. 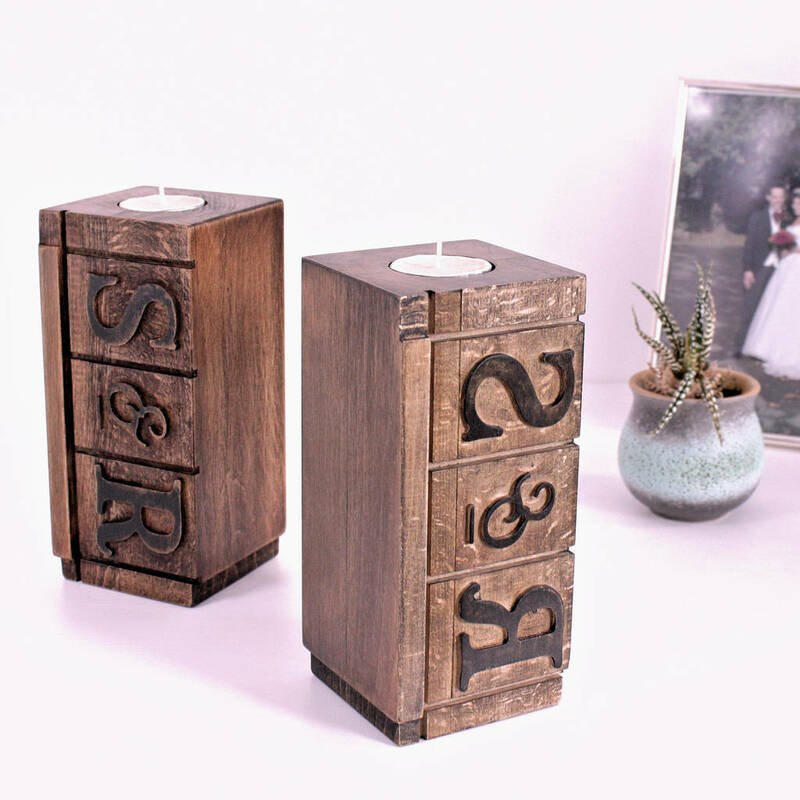 Inspired by the wooden letterpress printers blocks used in printing in days gone by, this tea light holder would make a stunning addition to any home. 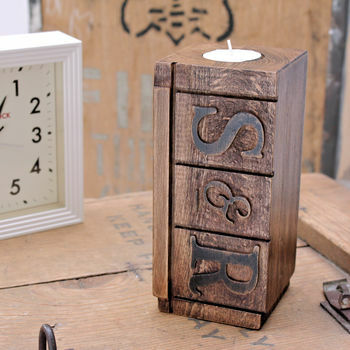 Proof positive that personalised gifts can be cool, contemporary and chic! Individually made and hand-finished in our small workshop in Chorleywood, England - the home of authentic, original giving and living. 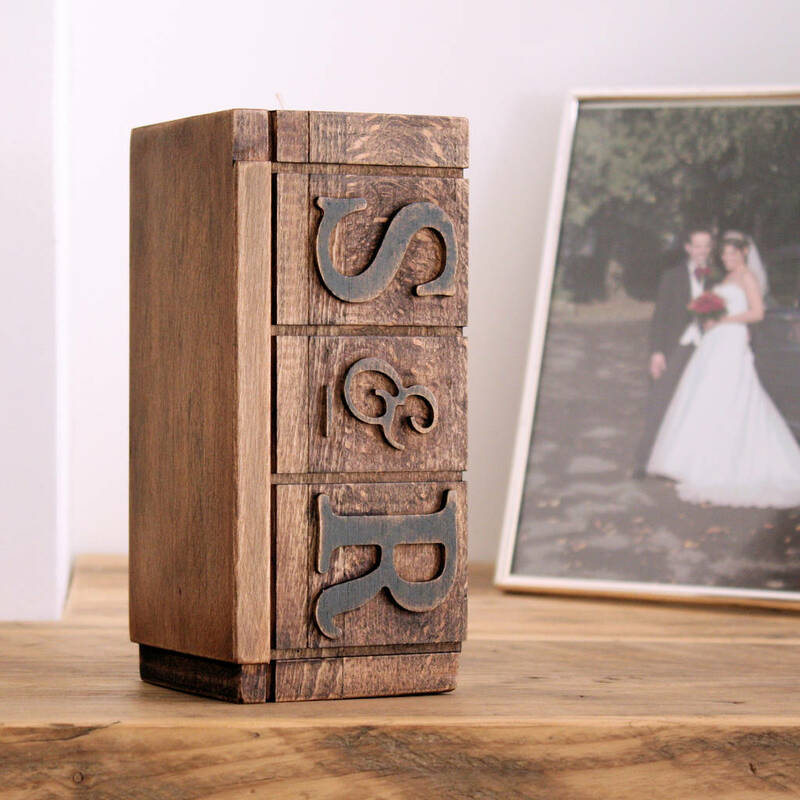 When to give: 5th wedding anniversary (traditionally wood), house warming/ move, engagement, getting hitched, the birth of a child, a major birthday or as a retirement/ leaving gift. 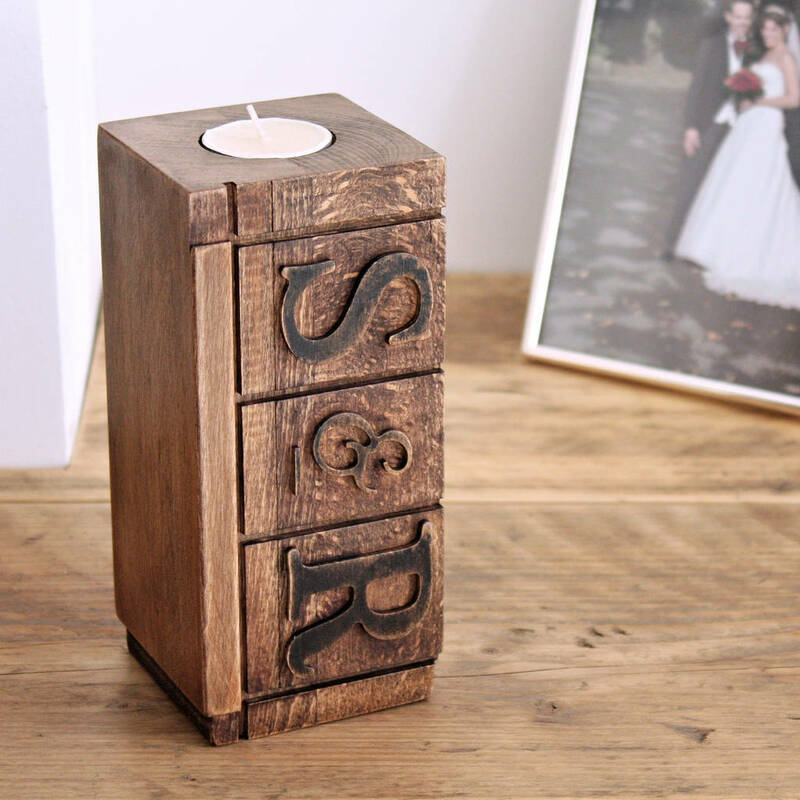 Personalise your Beech tea light holder and vase with initials. 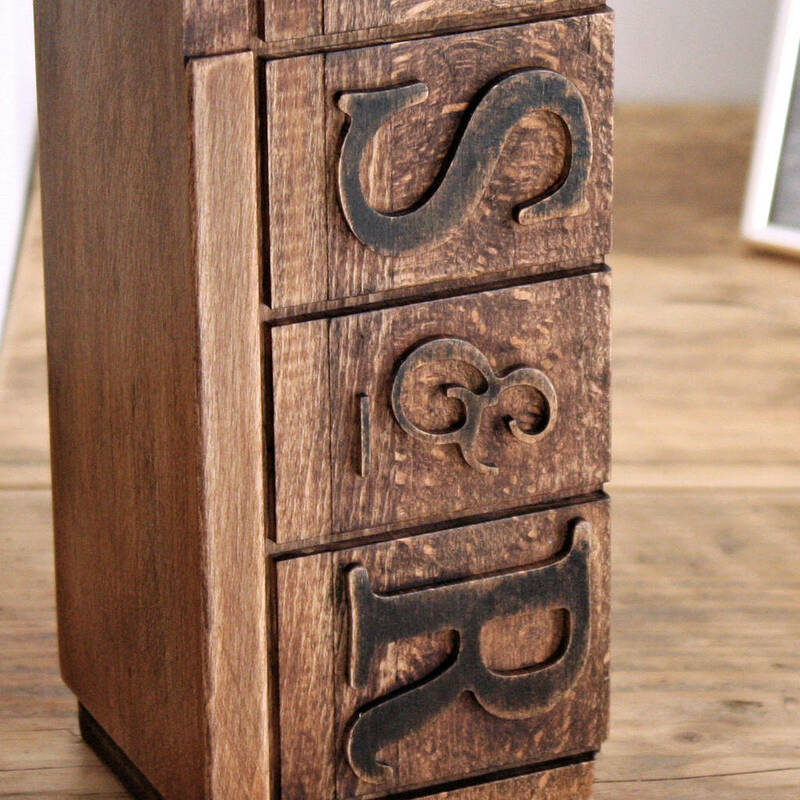 Have your initial and your significant other's, with '&' in the middle. Have the happy couple's initials. Or, have three initials with no '&'. Chose between authentic mirrored/ reversed text as it would appear on a genuine letter press block, or conventional left-to-right text like you're reading now. The pictures show both options: S & R is conventional; R & S is authentic mirrored text (you could ink this version up and print it!). All letters reproduced in capitals/ uppercase. Made in England from European beech wood block. Hand-finished using stains and varnishes to create unique vintage wood look. Your chosen initials will be mechanically carved in relief (they stand out) on the front face, then inked (to look authentic) and sealed. Please note the colour and 'patina' does vary according to the natural differences in the wood itself. This product is dispatched to you by Warner's End.